My two younger daughters have been at camp this week, so I’ve been tackling my TO DO list. 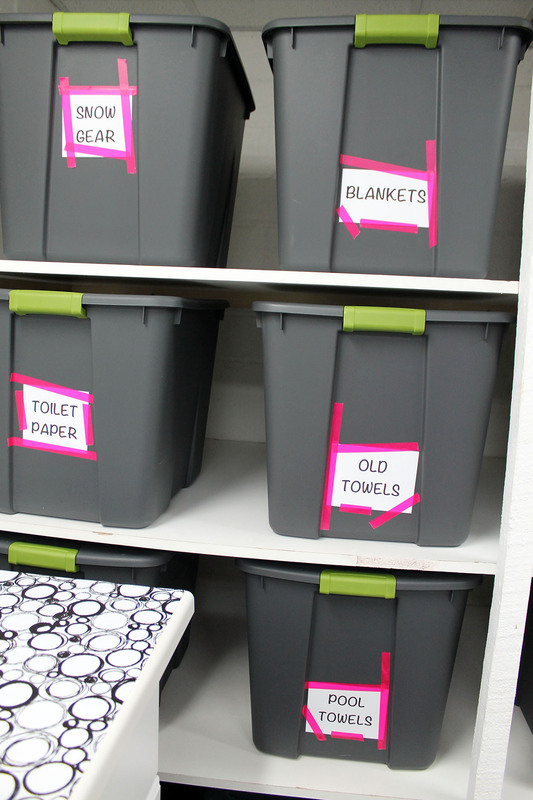 One project on that list was to clean out and organize my laundry room. The room has come a long way since we moved into this house…there was no finished ceiling, pipes and wires were exposed everywhere. We changed that by finishing the ceiling, putting it more lighting, and adding open shelving and cabinets. I also had a small TV mounted to the wall in there…I do spend a lot of time in there, so it’s nice to be entertained while I’m folding and sorting all that laundry! 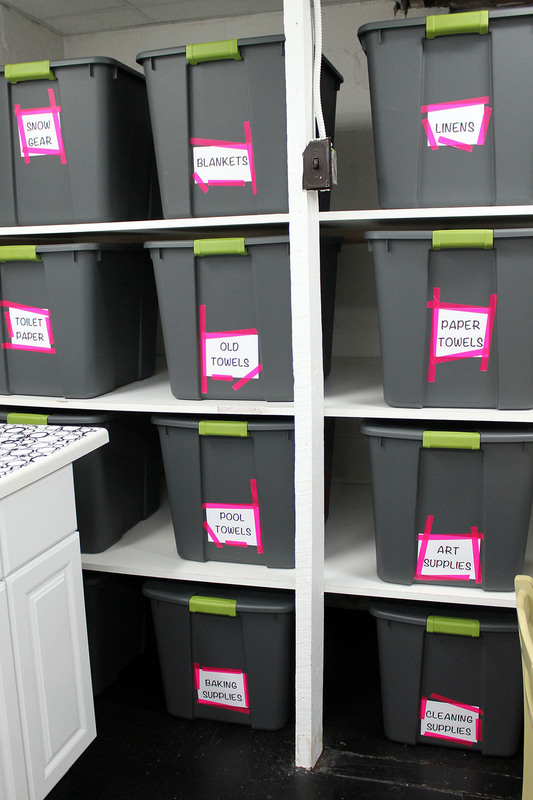 Back to my organization project…I had baskets on the shelves that held all sorts of items (extra sheets, table linens, blankets, snow gear, etc.). I grew to not like the baskets after a few years for lots of reasons, but mainly because the items inside would get dusty. 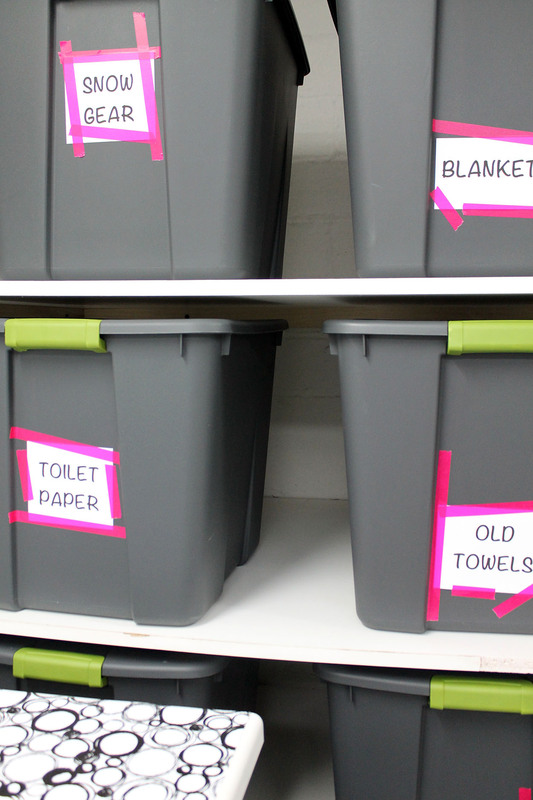 After sorting through all the contents of the baskets, I knew I needed some other type of storage bin. I looked everywhere for something with a lid that was functional, large, and attractive. I really did NOT want those large plastic containers…not cute at all! But that is what I eventually purchased because function won out over fun. 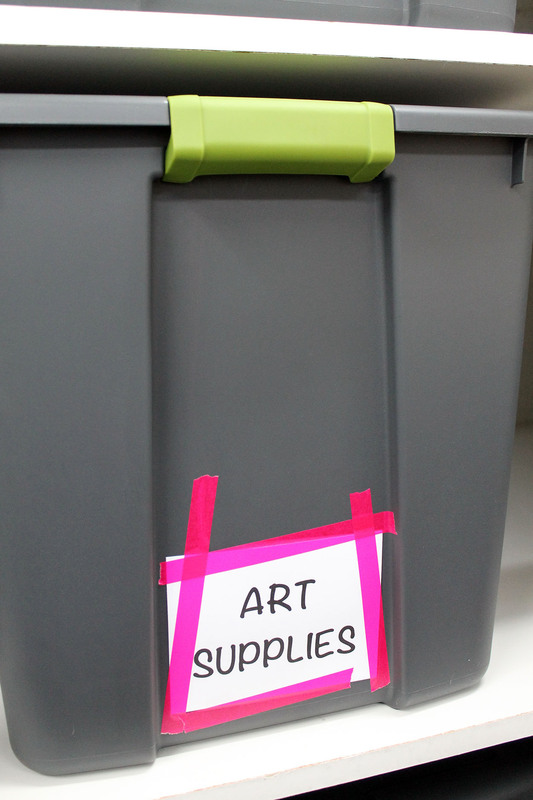 I chose dark gray containers so that they concealed the contents. I printed labels for each using white cardstock. 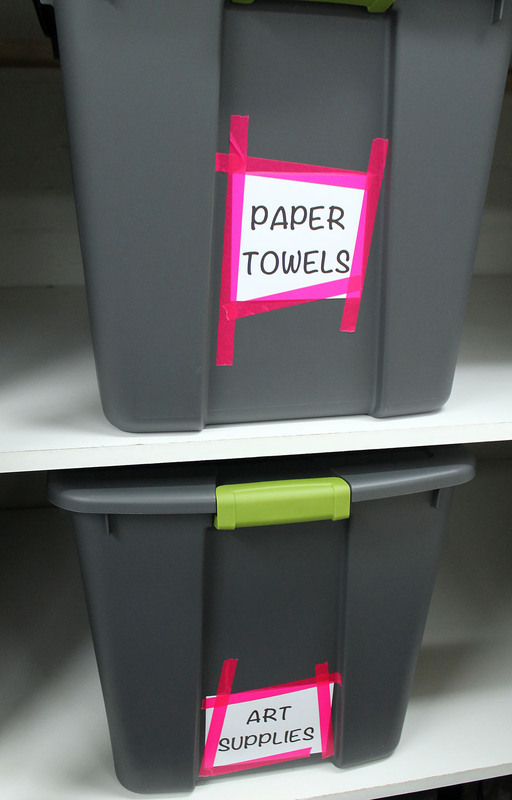 Then I attached the labels to the containers with bright pink washi tape. Cute, right? Just various size strips of washi tape at random places on the labels. I think it brightens up the containers AND the laundry room. 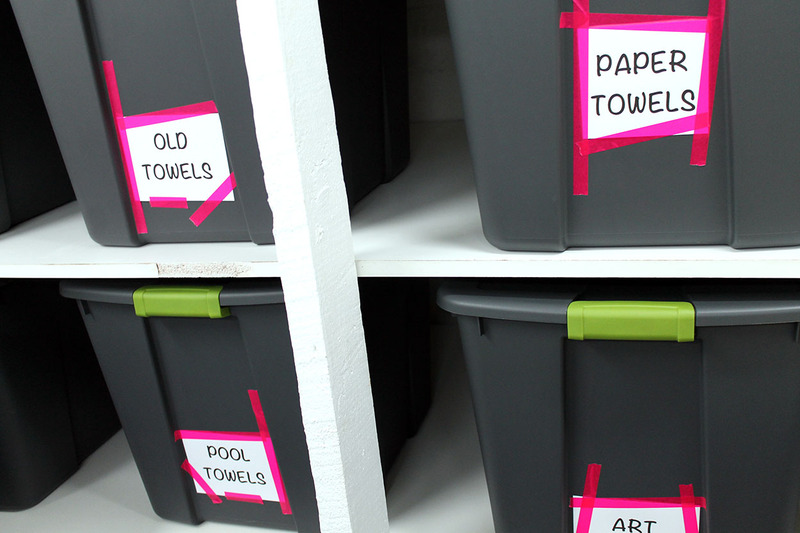 The washi tape added some fun and cuteness to these functional containers. I’m loving the way they look all lined up on my shelves. Thanks! I liked that it was for something functional and not just frivolous. I have a fun washi wednesday post for next week…stay tuned!